Morocco has been at the very top of my list of places to explore for years now. I always knew I would love it – something about the diversity of the landscapes; the Sahara desert, the colourful cities and medinas, the good surf and the impressive coastline. It has so much to offer. 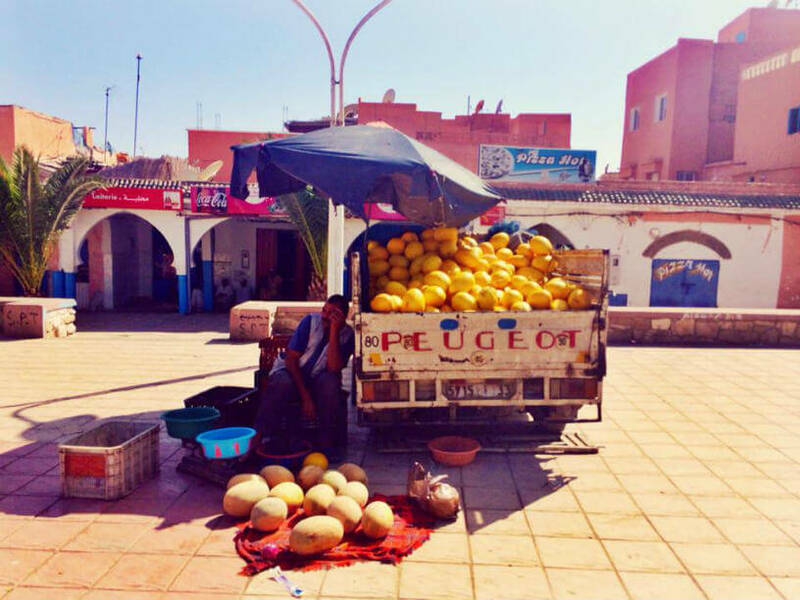 A few years ago, travelling solo as a blonde and fair 18-year-old girl, I was constantly warned not to travel to Morocco alone as I would be ‘harassed’ or made to feel unsafe and uncomfortable. I’ve always been skeptical of these kind of remarks as I believe almost every city can be dangerous at times, it just depends on you and how you choose to behave. I found Morocco to be very safe, so long as you cover up and dress appropriately – short shorts and singlets are inappropriate for the most part. My brother and I spent two wonderful weeks in Morocco, and I loved (almost) every bit of it. The very few negative things I have to say about Morocco are largely due to my own poor planning and could easily have been avoided had we chosen to travel at a different time of year. Alas, I had such a strong, unrelenting desire to go to Morocco that I purposely chose to ignore two important facts that would profoundly influence our time there – Ramadan and the scorching 45+ degree heat that is summer in Morocco. We arrived on the first day of Ramadan, and were quickly told to ‘excuse the grumpiness’ as everyone was just getting used to the fact they wouldn’t be able to eat for the large majority of the next month. My brother and I immediately coiled back in shock, imagining the absolute horror of being hungry for a whole month. It took us a number of days to come to terms with and totally respect the spiritual tradition of Ramadan. All in all, I didn’t feel that Ramadan affected us greatly as travellers, however we did feel guilty guzzling 1.5 litre bottles of water to quench our thirst in the scorching heat knowing most locals aren’t even able to have a sip. Fun fact: Look out for the tree-climbing goats. Goats are skilled climbers, and Morocco’s Argania trees are infested with the nut-hungry species, who can be found balancing on narrow branches in search of their next meal. We started our travels in Marrakech and spent almost a week exploring the city, before heading through the High Atlas Mountains to the fortified mud brick city of Aït Benhaddou – a UNESCO World Heritage site and the setting of several blockbusters including Gladiator and Game of Thrones. 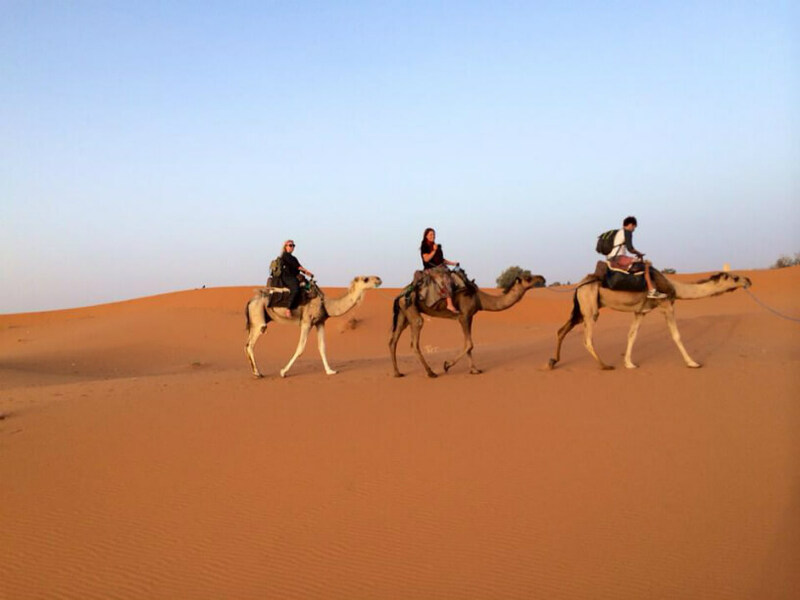 From there, we began a two-day camel trek through the Sahara Desert. After over a week of 40+ degrees, sand storms and far too much cous cous, we decided it was time for a dip in the ocean. We headed towards the coast to a tiny little surfing village called Taghazout, which was a welcome change after the hustle and bustle of Marrakech and the boiling hot heat. 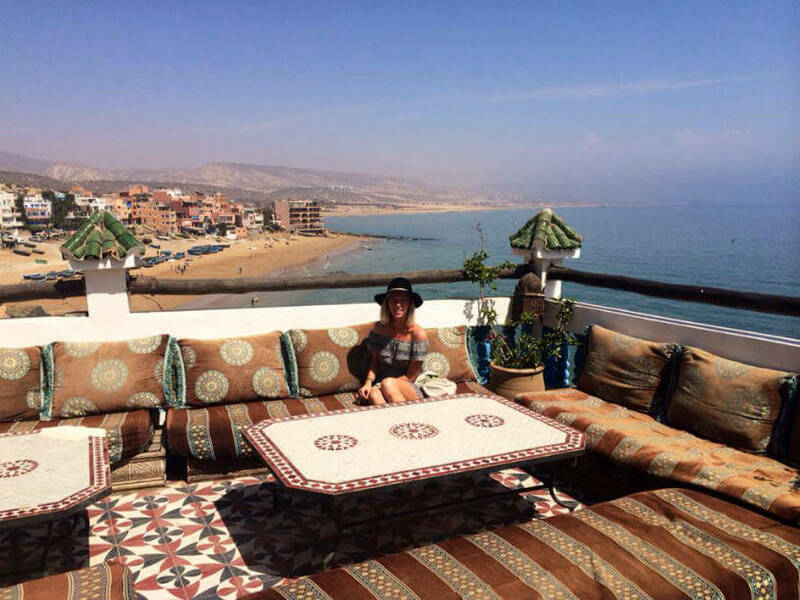 My tip - stay at Surf Berber hostel and make the most of its killer rooftop. 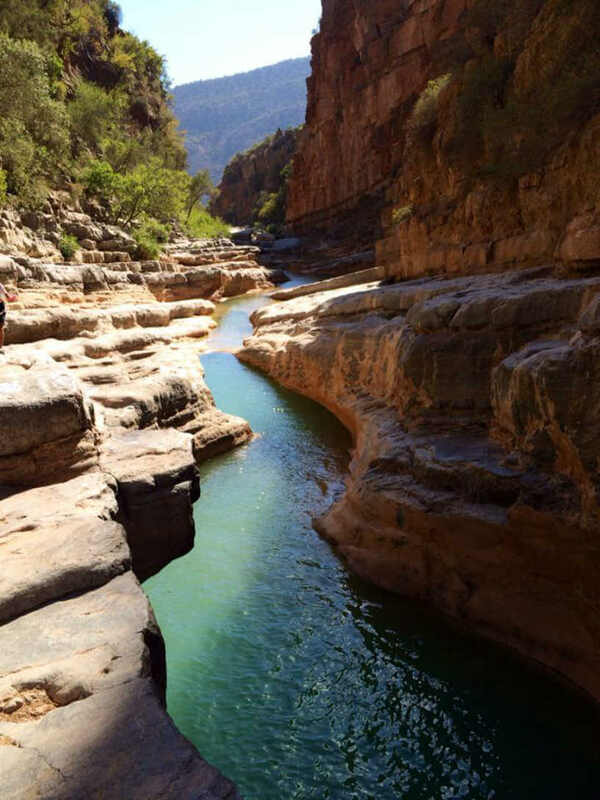 From there, we made a very rocky and very rough car trip to the strikingly beautiful Paradise Valley – a magical place of crystal clear rock pools and cascades hidden deep within the High Atlas Mountains. 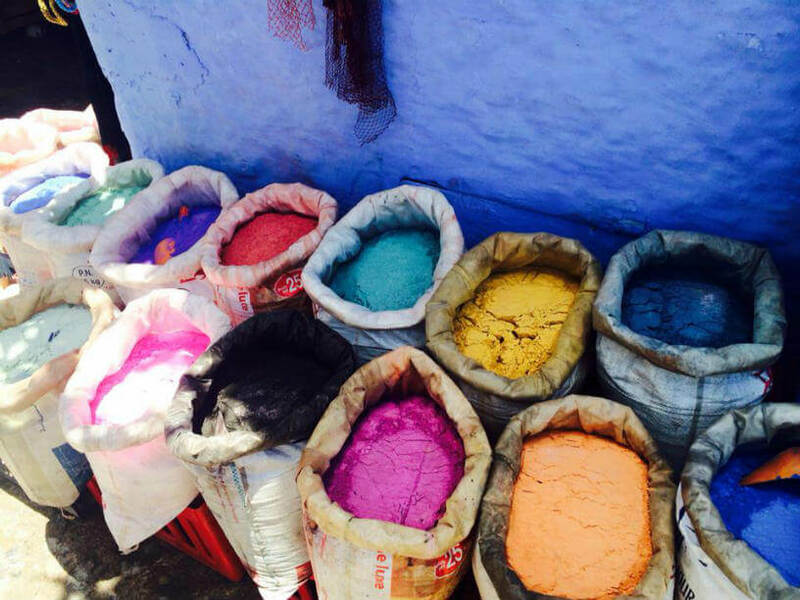 Discovered by hippie nomads in the 1970s, the hot tip about Paradise Valley was passed on to us by a lovely Moroccan woman we met over mint tea one evening in Marrakech and immediately we knew we had to get there. 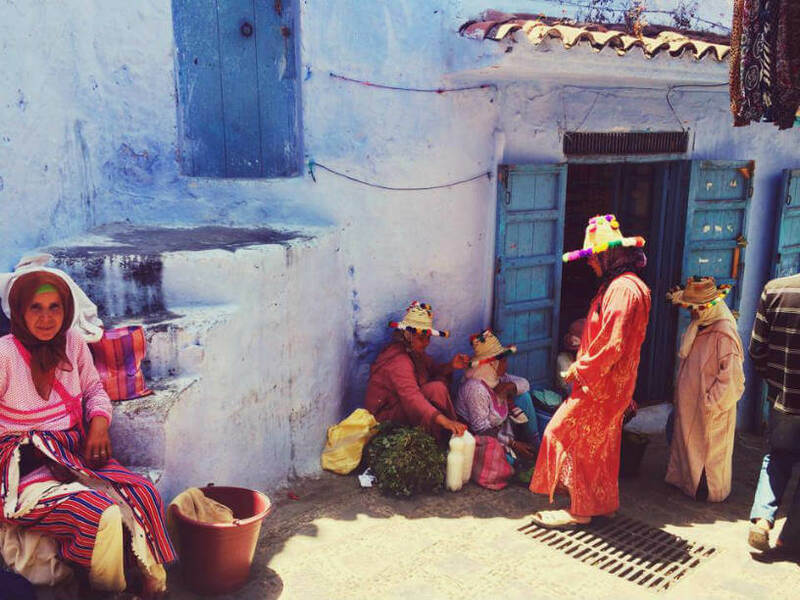 From Paradise, we travelled north to a small village hidden amongst the Rif Mountains (and painted entirely blue) called Chefchaouen – a highly recommended stop for those who have time. Try to time your trip to Morocco during spring or autumn when temperatures are cooler and the crowds are few. Temperatures from June-August can easily reach above 40 degrees Celsius. 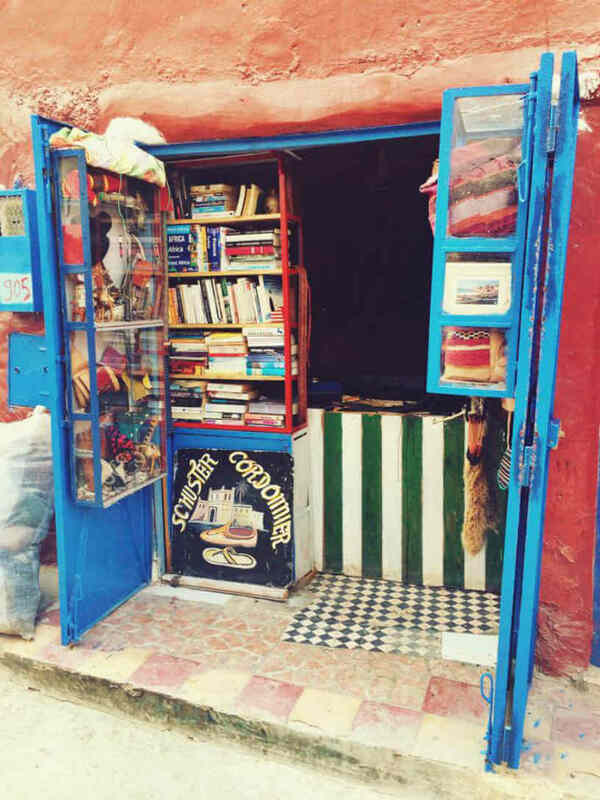 Take a daytrip to the striking Ouzoud waterfalls and Ourika Valley, about two and a half hours out of Marrakech. You can easily organise a day trip from most hotels or hostels in Marrakech. Stop by Yves Saint Laurent’s very own dream-like and colourful garden in Marrakech, complete with exotic plants, intricate water features and a museum of Berber culture. Majorelle Garden is a must see.